With the dawn of 2017, our city bids adieu to Shakespeare 400 Chicago, a yearlong festival to celebrate the enduring reach of William Shakespeare, who died in 1616. Spearheaded by the Chicago Shakespeare Theater under the leadership of Artistic Director Barbara Gaines and Executive Director Criss Henderson, and in partnership with 60 local cultural institutions, the city's festival was one of the largest Shakespeare quadricentennial celebrations in the world. More than 1.1 million attendees—only a few scullions among them—took part in 863 events at 231 locations across the city. 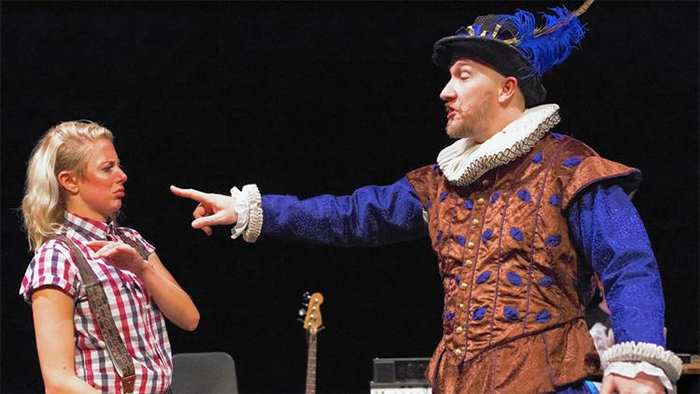 We are delighted (and not a bit surprised) that Chicago's robust theater and arts community pulled off such an impressive year of programming—from the citywide Shakespeare in the Parks productions and Battle of the Bard teen competitions to a Peking Opera Hamlet from Shanghai and The Complete Deaths by the United Kingdom's Spymonkey comedy troupe. Alas it has been a trying year, and in Chicago (dare we say around the globe?) we have seen better days. The world is grown so bad, as the Bard once wrote, that wrens make prey where eagles dare not perch. So in this winter of our municipal, state and national discontent, we are inspired by our city's embrace of Shakespeare and encourage it to continue. We propose at least one final Shakespeare 400 event: a run through the English poet and playwright's words for the guidance we'll need in 2017. It's there for the finding, snippets of wisdom written like Elizabethan tweets calling out to our modern world. There's "Men of few words are the best men," from Henry V. Or "The common curse of mankind, folly and ignorance," from Troilus and Cressida. Or, from Henry VI, Part 2, "The first thing we do, let's kill all the lawyers." No, no. We don't support an actual assault on lawyers, but in that tale about the dangers of tyranny, the populist rebel Jack Cade is certainly a character worthy of our attention. After a year that, for many, was as loathsome as a toad, we would do well to keep Shakespeare at our sides as we warily open the door to a new year and its new challenges. For it is Shakespeare who reminds us that "the whirligig of time brings in his revenges," "past is prologue" and "nothing will come of nothing." That "the devil can cite scripture for his own purpose," "all that glisters is not gold" and "violent delights have violent ends." And that "Come what come may, time and the hour runs through the roughest day." Happy new year, you lily-liver'd rampallians.